I was a first year grad student at Steward when Marc died. I still vividly remember the confused horror that descended upon the department. Although I'm no longer an astronomer, I'm happy to see the tribute to him, and that you have been honored in this way. Congradulations on being selected for the Marc Aaronson Memorial Lectureship. Your systematic, organized search of the skies for knowlege of the Kuiper Belt will set the standards and constraints for what is known about the outer solar system, rather than what we think we know, or merely guess. Actual observation is the cornerstone of everything knowing that's worthwhile learning. I looked up Marc Aaronson on Wikipedia. The accident was thoroughly investigated and steps were taken to see that this would not happen again. There was a safety switch, but the heavy dome kept rotating after the motor was cut off. I hate to say this, but it kind of sounds preventable, which makes it even more tragic. Being at the Wikipedia site I decided to look up the bravest hero of 20th Century science, geologist David A. Johnston. He was the only USGS geologist who correctly predicted that Mount Saint Helens would explode laterally rather than a columnar eruption. Knowing the danger, he went to the mountain and set up camp anyway, so he could study it. He successfully resisted very heavy political pressure to lift the evacuation order for the area which kept thousands away from the danger. On the morning of May 18, 1980, the mountain exploded. Thirteen years later they found his truck, but they never found him. This is an article on people who have sacrificed themselves for the cause of knowlege. One was Diane Fossey, who studied mountain gorillas, who was murdered. Poachers are suspected, but there are several other viable suspects listed in the Wikipedia article on her, and the crime has never been solved. I was surprised to see one of my favorite personalities listed there, Alfred Wegener. Wikiing him solved a minor mystery for me. Everybody laughed at his "crazy" theory of continental drift. So how did he get a career in science? Turns out he was a meteorologist who studied weather. He was in Greenland studying the polar vortex in November 1930 when he became lost in the blinding whiteout. His body was found on May 12, 1931. Wegener's is a case study in how theories are supposed to be formulated. Others before him had noticed that the west coast of Africa fits into the east coast of South America like a jigsaw puzzle but had not given it much thought. Actually Wegener came up with the idea when he noticed that fossils of Mesosaurus and Lystrosaurus occured on continents now separated by oceans. That in itself didn't mean much, but Wegener went looking for other evidence, like the aforementioned jigsaw puzzle, stratigraphy and mountain ranges which matched across oceans, other fossils, and of course climate, to bolster his theory of continental drift. People laughed at Wegener because he couldn't come up with a believable mechanism for continents to drift. He came up with "centrifugal force", which was spectacularly wrong, but still the evidence accumulated after his death; paleomagnetic shifts and the discovery of seafloor spreading became overwhelming. This set off the search for the right cause. which is convection currents in the mantle. Without Wegener's observations, they would never have thought to look for such a thing. Einstein started with a small piece of evidence; the speed of light is the same in all directions. Every time they measured this, they got the same thing, so it must be true. So the theories of the time must have been wrong. Einstein's theories seemed counterintuitive so all kinds of experiments were suggested; the result was always that the speed of light was the same in all directions and the consequences of that always came out the same. So, thank you very much for your catalogue of Kuiper Belt objects. We may quibble about details like the albedo of Orcus, which present instruments can't determing very well, but who would know to look if the catalogue didn't exist? Give yourself a pat on the back, for me. Hi Mike - Great entry! Thanks again for such a wonderful lecture and lively dinner conversation! Email me if you are up in the bay area. I'm Marc's other daughter, Laura. Jamie forwarded me the link to your blog. I was so touched by your posting. Thank you for honoring my dad. It is so neat to learn how he inspired fellow astronomers. Thank you! 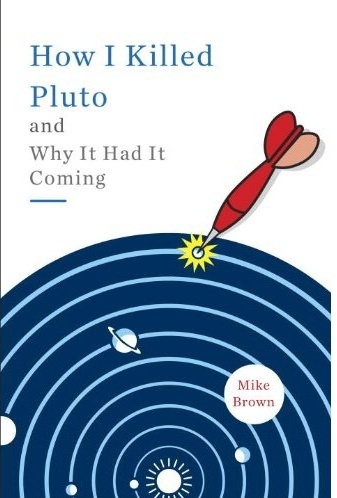 Forget Pluto, now you've really got me riled up. I graduated college in 1987 and I am YOUNG, period. I'm a kid, babyface, carefree lifestyle, wonder about the universe, no understanding of finance and bill paying whatsoever. You're young too, and even if you aren't living like a kid the way some of us are, take the fact that someone refers to you as young as a compliment and as true!